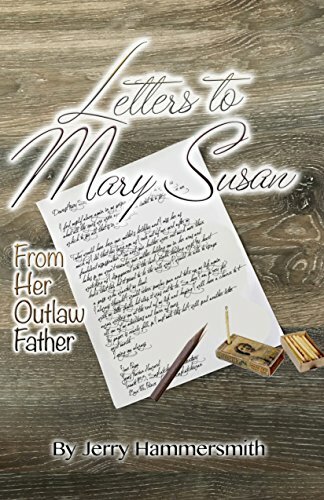 Letters to Mary Susan chronicles the life and adventures of a Missouri outlaw that is in prison for manslaughter and is trying to reconnect with his daughter through letters. What was your inspiration behind this story? The book’s main character, Jim Howard, was one of my father’s boyhood heroes and he’d retained “Jim Howard stories” for over 70 years. I’d promised him, in 2002 to make these stories central to a book with Jim Howard as its main character. This is a great historical fiction novel that got a lot of the details right. What kind of research did you do for this novel to keep things accurate? I did a lot of online and library research re: pre-Civil War, Civil War, post-Civil War “outlawry (“guerilla warfare”), Cattle drives, the rise of Montana outlawry and the “Wild Bunch,” Big Muddy outlawry, leading to personal interviews and old newspaper/library reviews regarding homesteading and personal interviews with prison personnel regarding prison characteristics as well as older individuals with recollections of the Prison Chaplain’s, Howard’s lawyer’s and Howard’s daughter’s roles in his release from jail. What I liked about James’s character was that he held nothing back and didn’t try to cast himself in a good light, just told it like it is. What themes did you want to capture while you were writing his character? That redemption and a new start is possible for us all. A book of poetry that I hope to have ready before the end of this year. In his historical novel, LETTERS TO MARY SUSAN, Jerry Hammersmith chronicles the life and adventures of a Missouri outlaw, James Marion Howard. 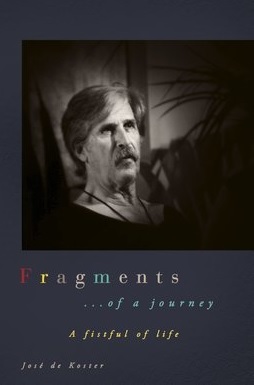 The novel is narrated by an aging Jim Howard as he begins to serve a sentence of fifteen years for Manslaughter. His lonely prison cell in the newly built Saskatchewan Penitentiary in Prince Albert is the impetus to repent and reconnect with his past. Through Jim’s reflections and letters to his long-estranged daughter, Mary Susan, the novel becomes a chronicle of the life of a Missouri outlaw who fled post Civil War America, leaving behind his wife and family and seeking escape from the law by racing across the western states, robbing stage coaches, trains and banks, until a posse chases him across the 49th parallel and into the newly formed Saskatchewan, Canada. He finds a new life and becomes a citizen of Canada after fulfilling the homestead requirements and establishing a new identity there. As Howard recalls his outlaw past, Hammersmith leads the reader into the saga of the American Civil War, the tragedy of post war devastation and the flight of an insurgent guerrilla on the run to homestead in the ‘promised land’ of Canada. 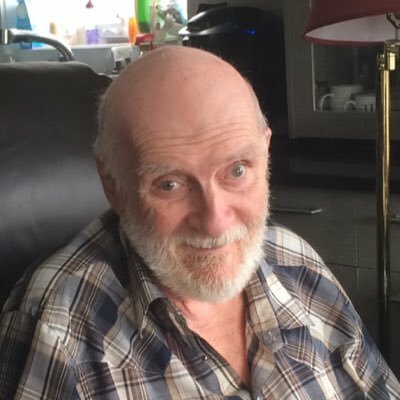 The surprising identity of that outlaw and his place in the small community of Teddington, Saskatchewan provides a tale of adventure, mystery and passion. The twists and turns of this amazing story offer a glimpse into the ravages of the Civil War and the aftermath of the brutal and senseless vengeance that stole the lives of many young men. It leads the reader to an understanding of the path of a man’s choices and the hope that redemption is possible for us all. Posted on April 4, 2018, in Interviews and tagged alibris, author, author life, authors, barnes and noble, big muddy, book, book club, book geek, book lover, bookaholic, bookbaby, bookblogger, bookbub, bookhaul, bookhub, bookish, bookreads, books of instagram, booksbooksbooks, bookshelf, bookstagram, bookstagramer, bookwitty, bookworks, bookworm, canada, civil war, cowboy, ebook, facebook, fantasy, fiction, goodreads, guerrilla, hero, historical, history, ilovebooks, indiebooks, insurgent, jim howard, kindle, kobo, Letters to Mary Susan, library, literature, memoir, Montana, nonfiction, nook, novel, outlaw, prison, publishing, read, reader, reading, shelfari, smashwords, story, twitter, warfare, western, writer, writer community, writing. Bookmark the permalink. Leave a comment.